The colorful and controversial longtime client, Georgia Frontiere, was the owner of St. Louis Rams, a team she inherited from her husband Carroll Rosenbloom when he passed away. Ms. Frontiere was a dancer, weather girl, and lounge singer who inherited the National Football League team from the sixth of her seven husbands, and went on to win Super Bowl championship. She was the second NFL female club owner in the league history. 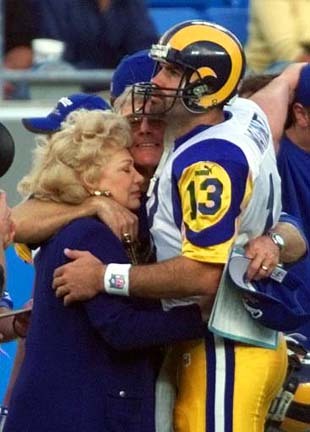 Ms. Frontiere had a deep love for the Rams franchise and the NFL. Her philanthropic generosity was renowned and widely diverse. She loved dealing with Dora. They shared a common love of being career women who loved excellence in their work. ISA staffed Ms. Frontiere's homes that ran in top smooth team work. She was a client everyone loved working for.